The SEC wins a long-running court case on wrap fees, while OCIE letter to RIAs signals the arrangements will be scrutinized in exams. The SEC wants to know about advisors' wrap fee programs. Broker-dealers and advisory firms that sponsor wrap fee programs, take note: the Securities and Exchange Commission is cracking down on wrap fee programs and recently won a court victory against an advisor who lied to his clients to get them to switch their accounts so that he could pocket a higher wrap fee. A jury ruled late Wednesday that Massachusetts-based advisor Benjamin Lee Grant misled his former brokerage customers while inducing them to transfer their assets to his new advisory firm, Sage Advisory Group. 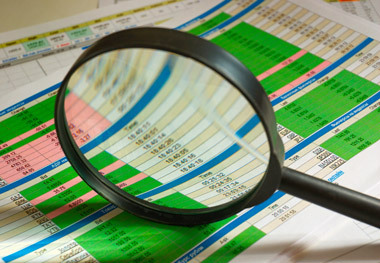 The SEC’s Office of Compliance Inspections and Examinations (OCIE) also sent recently an Information Request List to registered investment advisors regarding their wrap fee programs, signaling such programs will face scrutiny during upcoming exams. The SEC, which originally filed an enforcement action in 2010 in Massachusetts District Court against Grant, alleged at the time that Grant, a stockbroker, lied to his brokerage customers in order to induce them to transfer their assets to a new investment advisory firm, Sage, of which he was the sole owner. Prior to October 2005, the SEC’s compliant said, Grant was a registered representative at Wedbush Morgan Securities, the full-service broker-dealer based in Los Angeles. He had more than 300 customer accounts with more than $100 million in assets, and virtually all of the customers’ assets were managed by First Wilshire Securities Management Inc., an investment advisor based in Pasadena, California, the SEC said. Grant resigned from Wedbush on Sept. 30, 2005, to go into business for himself at Sage. In an Oct. 4, 2005 letter, the SEC’s compliant states that Grant told his Wedbush customers that Sage had been formed to handle their investments and that, at the suggestion of First Wilshire, their brokerage accounts were being moved from Wedbush to Charles Schwab & Co. Inc. The letter told Grant’s customers that the charge for their accounts was changing from a 1% management fee paid to First Wilshire plus Wedbush’s brokerage commissions to a 2% wrap fee paid to Sage, and that, according to First Wilshire, a wrap fee was historically less expensive. The letter also told Grant’s customers that if they wanted to avoid any disruption in First Wilshire’s management of their assets (which was delivering above-average performance), they had to sign and return documents establishing Sage as their investment advisor and Schwab as the custodian of their brokerage accounts as soon as possible. “When some customers asked questions about the Oct. 4 letter, Grant told them that if they wanted to retain First Wilshire as a money manager, they had to transfer their business to Sage and Schwab, because First Wilshire was no longer willing to manage their assets at Wedbush,” the SEC stated. First, the SEC argued in its complaint that Wilshire had not suggested the transfer of the customers’ accounts from Wedbush to Schwab, and First Wilshire had not refused to continue managing their assets at Wedbush — meaning that the customers were not forced to transfer their business to Sage and Schwab if they wanted to retain First Wilshire as their money manager. Grant also “failed to tell his customers that, because the switch from Wedbush to Schwab was going to significantly reduce the brokerage costs for their transactions (which would no longer be paid directly by the customers), the only person likely to benefit from the new 2% wrap fee was himself,” the SEC said. The SEC said in January that the agency would place wrap fee programs under heightened scrutiny this year, and OCIE recently sent a letter to RIAs requesting information such as how advisors determine the suitability of wrap fee programs, how advisors ensure best execution for their clients and whether advisors are allowed to “trade away” from their usual trading desk. OCIE’s recent request list is an indication that the SEC will be targeting firms with wrap fee programs “in the near future,” says securities lawyer Patrick Burns. Advisors should prepare for the upcoming examinations by “organizing their documents and improving the review process of their wrap fee programs,” as examiners will want to see documentation indicating that advisors regularly analyze the suitability of their wrap program for clients, he says. The trial against Grant began Aug. 4 in federal district court in Massachusetts and the jury deliberated for approximately two hours Wednesday before returning a verdict of liability for Grant and his firm. The court will determine sanctions at a later date. Check out Fidelity to Pay $12 Million to Settle 401(k) Suits on ThinkAdvisor.